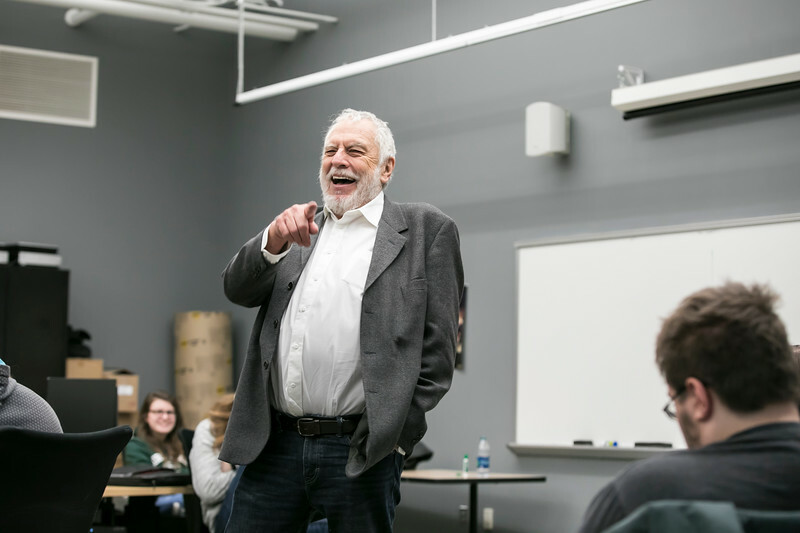 Mason’s Game Pioneer in Residence, Nolan Bushnell, visits Matthew Nolan’s Game 250 class. Bushnell, who founded Atari and mentored Steve Jobs, is lecturing students and giving workshops on how to start a game-related business. He’s founding 20, including Chuck. E. Cheese.